I am not a meat person. 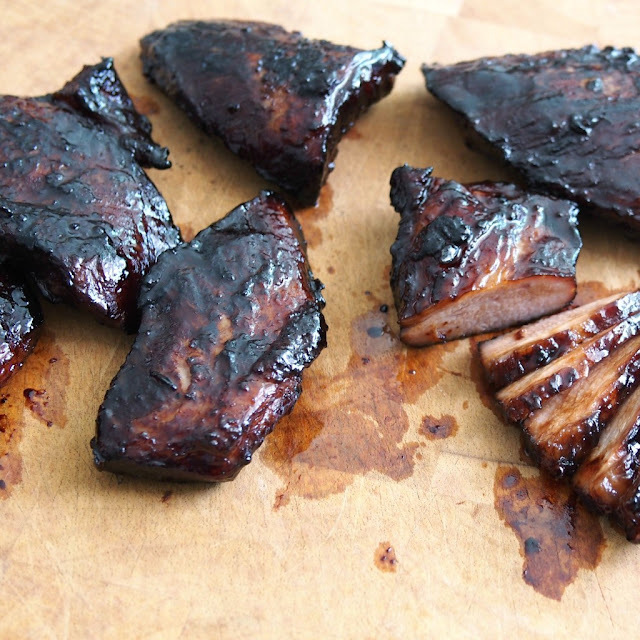 However, it is fun to be able to prepare some quality char siu for my families and friends. This is my own recipe and I hope you will enjoy it. 1. Mix well all the marinate ingredients. Place the meat and marinate in a zip-lock bag or container with cover. Place in the fridge (chiller compartment) over night. 2. 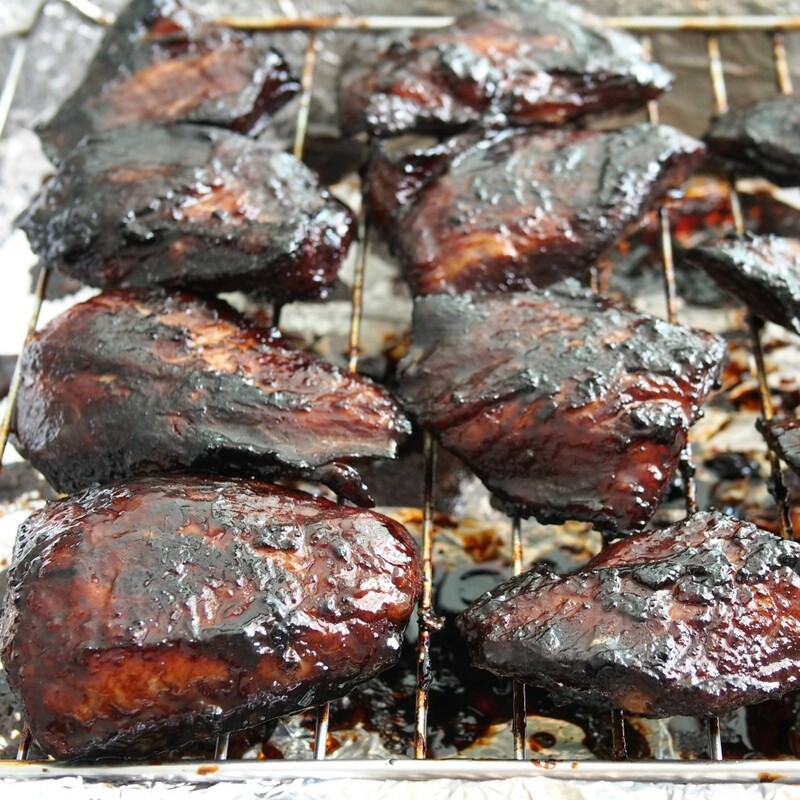 The next day, remove pork from the fridge. 3. Pre heat oven to 180C 15 minutes before baking. 4. Line a baking tray with aluminium foil and place a rack on top. 5. Place the pork neck on a rack and bake for 15 minutes. Remove from oven and turn the pork neck over then brush the remaining char siu sauce over. Place the pork neck back to the oven and bake for another 15 minutes. The pork will shrink when cooked. 6. When the pork is cooked, transfer to a wok and cook at low heat until it is nicely charred and caramelised for around 2 to 3 minutes. Remove pork from wok. 7. With the same wok, cook the remaining char siu sauce at low heat until boil. 8. 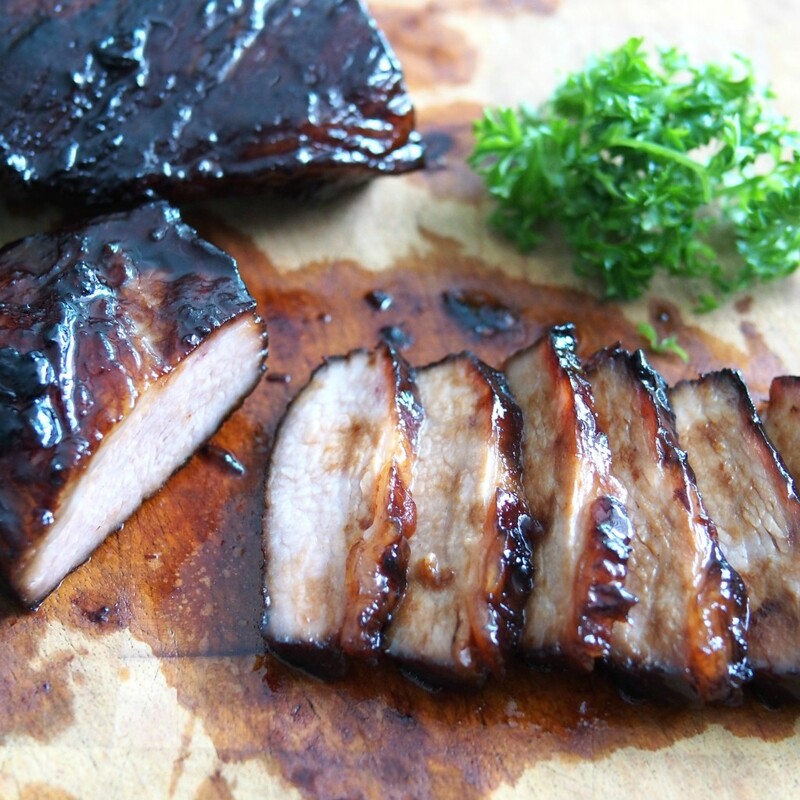 Slice the char siu into thin pieces and serve with remaining cooked char siu sauce and steamed white rice.